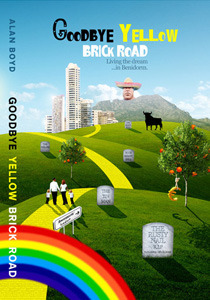 Once upon a time, there was a famous windy little road in Benidorm….it was known by the Brits as The Yellow Brick Road. It had businesses on it with themed names…The Lion Rampant, Blueberry Hill, The Wizard, The Travellers Rest and The Yellow Brick Road Carvery. Later on, a little bar called The Tin Man would also appear, but only for a short time. His heart apparently wasn’t in it! Unfortunately, over a period of four years, this little road once paved with gold would see these British businesses close. The dream was over.